Indoor allergens like dander and pollen reduce indoor air quality and aggravate respiratory problems. Additionally, odors from smoke, cooking, paint and the bathroom decrease air quality. Replacing the air cleaner's filter regularly ensures the air inside residential and commercial buildings stays fresh, pure and clean for easier breathing. 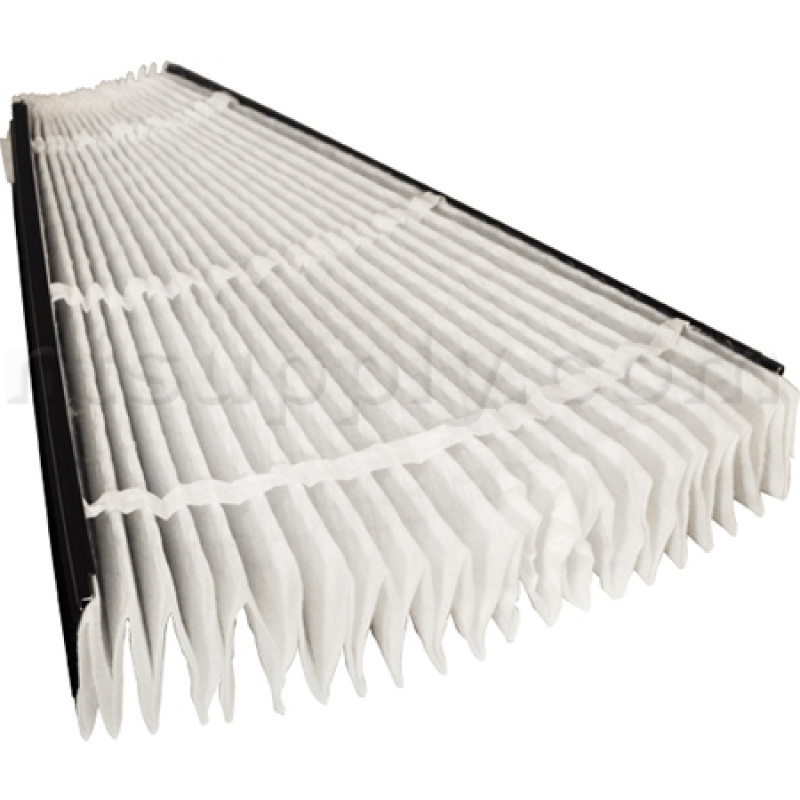 When the airflow or the air quality decreases, the replacement filter easily inserts into place and provides a healthy indoor environment. We have had our whole house air filter installed for 2 1/2 years now. 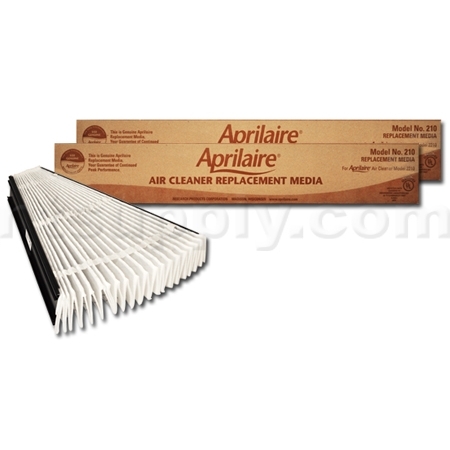 The Aprilaire # 213 filter helps keep our house almost dust free. It also helps me with my hay fever which helps me sleep better at night. 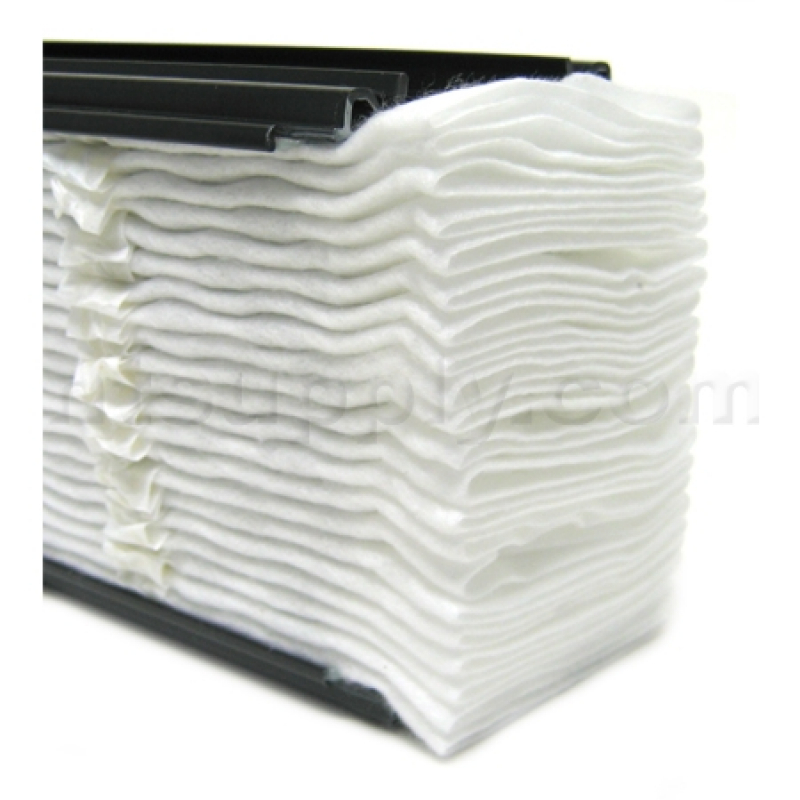 It is very easy to order replacement filters from Discount Filters .com. I also save money by replacing the Aprilaire filter myself. Our local HVAC replacement Aprilaire filter cost $20-30 more without the service call charge added in. We are very happy with Discount Filters company and service. Thank you Brian B.
Awesome,easy to install...filter,filters a lot. I now notice less dust on my black glass TV stand between dusting. Fit was good. Clean air! We have been using Aprilaire #213 for about 3 years, last year we remodeled our master bath. there was lots of dust, from removing the dry wall and then plastering the replacement dry wall. 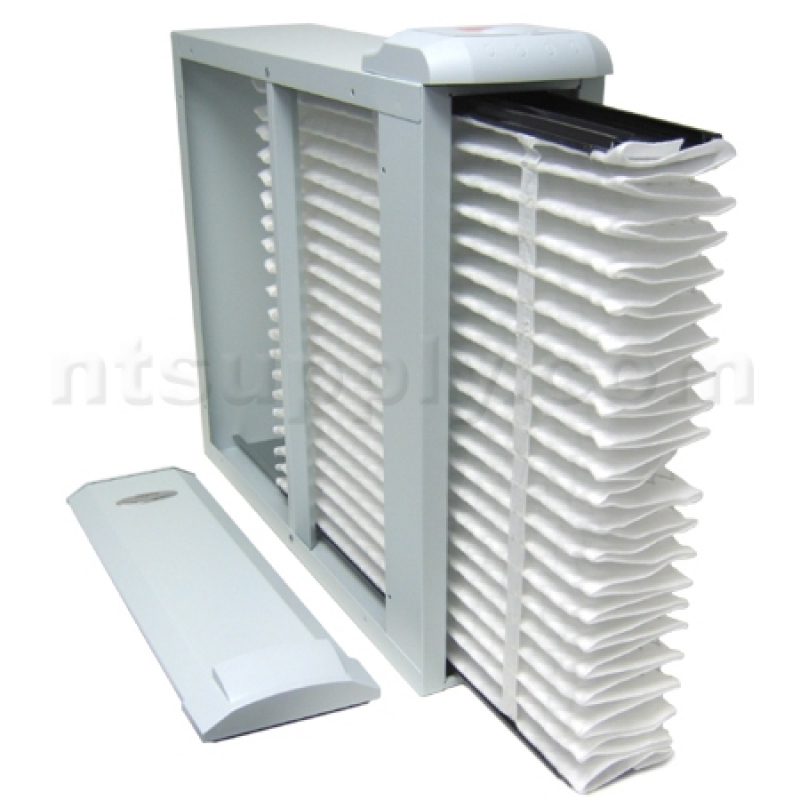 Our filter eliminated most of the air born dust particles. We have to replace the filter twice but it was worth it. Also this filter is so easy to take out and then replace, quick and easy. 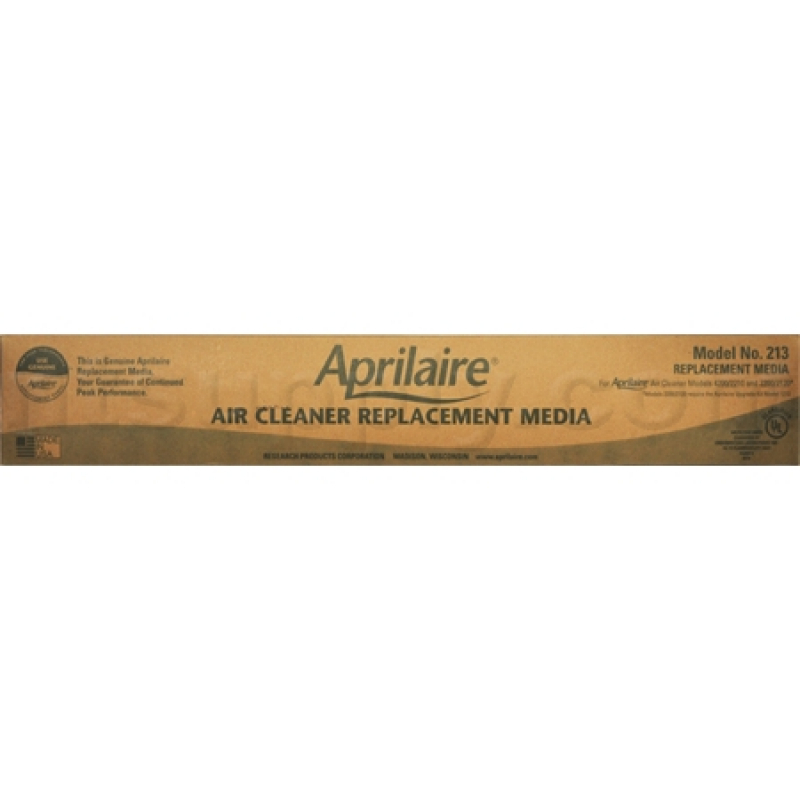 Ordered Aprilaire filter products to replace old filter. Converted to the new style quick-replacment type filter #213 vs old model #201. So much easier to use. No fuss, no mess. And quick. Aprilaire products are the best, in my opinion. 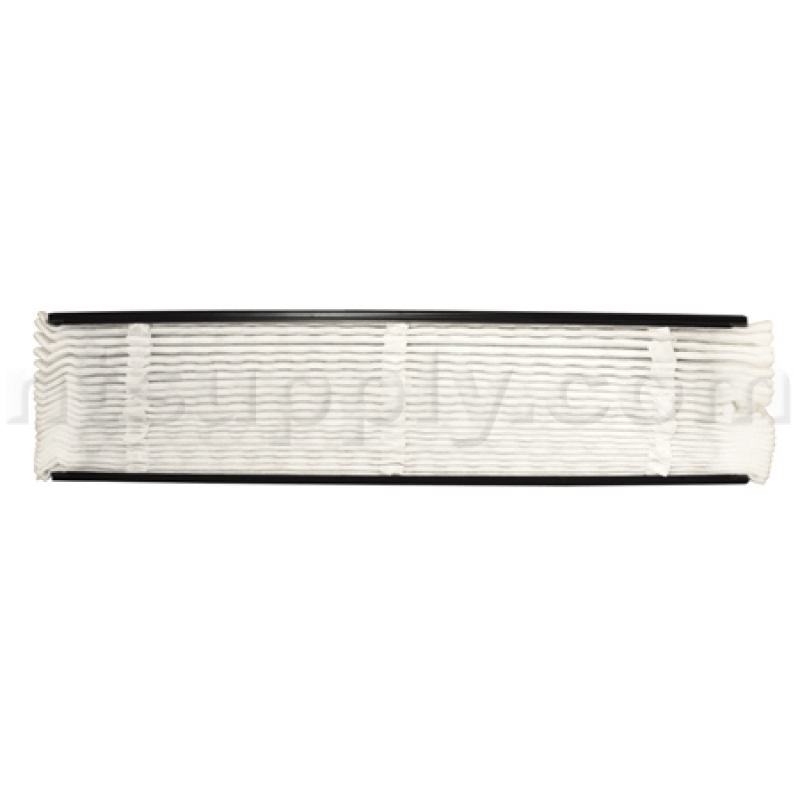 Top quality OEM filters. Love the air quality in our home with these. works great and price from discount filters was reasonable! On an requested power bill assessment, the tech notice the filters and promptly stated "it was the brand they recommended''. We just should replace it also as recommended. Exactly what I ordered and excellent delivery time. Would recommend your company to anybody. Very pleased with how fast our order was completed. We just had our heatpump serviced and this time we had the replacement filter ready and waiting instead of having to pay their fee for a new one. We have been using these filters for about 5 yrs., and are very pleased with them! Excellent experience time after time. Dependable for sure. These filters are so much easier to install than the original filters that were in our HVAC unit. Excellent product. I was able to order the filters I needed at a much lower price than my oil company would have charged me. I installed it my self and saved on what have been a service call. Easy and quick order, delivery and installation. Fast shipping and great furnace filter. great filters at the best price I have found. 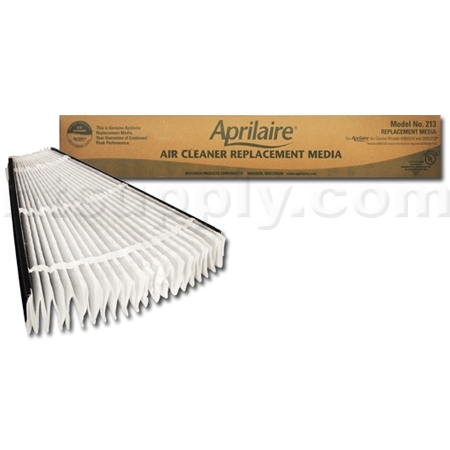 Easy to order Aprilaire filter, fast delivery, and a breeze to install. Did I mention a good price also! I am so happy with these filters. They were much less expensive than what I paid at the company where I got my furnace and A/C. I didn’t have to drive across town to purchase them. They were delivered to my door with free shipping! The best part about Discount Filters though is ther fabulous customer service. Good product, Easy to remove and install. Dust collection shown on the filter at 6 months usage is "generous" which tells me it is doing its job. It also tells me that , if you can afford it, 6 month replacement is better than the yearly replacement indicated by the manufacturer. Those filters are what helps to keep the air in my house clean. I consider them to be absolutely necessary. By ordering them from Discount Filters, I have them readily available when I need them. Those orders always go through smoothly, without any problems. Product was as advertised and on my porch the day that was stated for delivery. Great service. Great service. Easy ordering, fast shipping, low price and I don't have to worry about filters anymore! Great filters, pricey but they work extremely well. I got the 2-pack (Tu-Pac?) and that should be a year’s worth of micro filtered air for my house. I recommend getting the OEM filter- trust me on this. You won’t regret it. 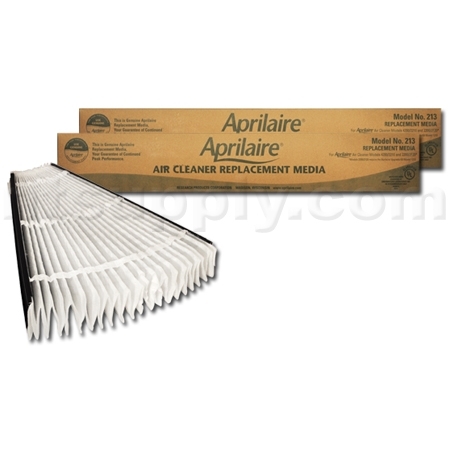 We have used Aprilaire filters for a long time. The #213 MERV 13 two pack is a great buy and the filters work great for taking the dust and other material out of the air we breath. Wife states that by using these filters her dusting of the furniture has been reduced to once a week vs. two or three times per week. We have already noticed a reduction in dust around the entire house. The house is warmer with a clean filter in place. 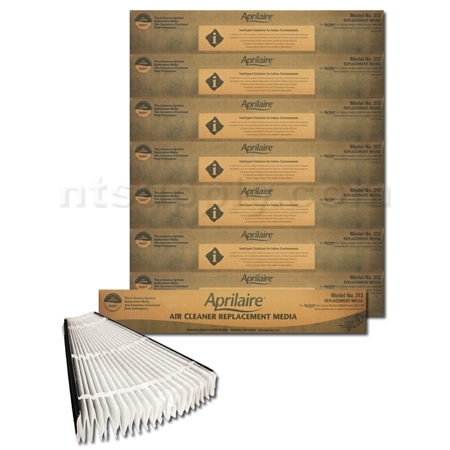 The Aprilaire #213 MERV 13 replacement filters provide me with increased filtration efficiency over the standard MERV 10 filter that came with my air cleaner. I recommend these replacements for anyone looking for greater filtration. This product is easy to use and works efficiently. I purchased this product and it arrived quickly and fits properly! Price was competitive! Great quality and can't beat the price!!! Very good filters. Use them all the time. Easy to order, delivered on time and good price. Usually always order two. Great Service! Thanks. Fast delivery and easy to install. My one stop filter provider. I was extremely satisfied with Discount Filters! The customer service is great , the price,product and delivery. I would surely recommend this to family and friends! Thank you again for being a great company to do business with and save money too. Promptly delivered and easy to install! Went in without a hitch. 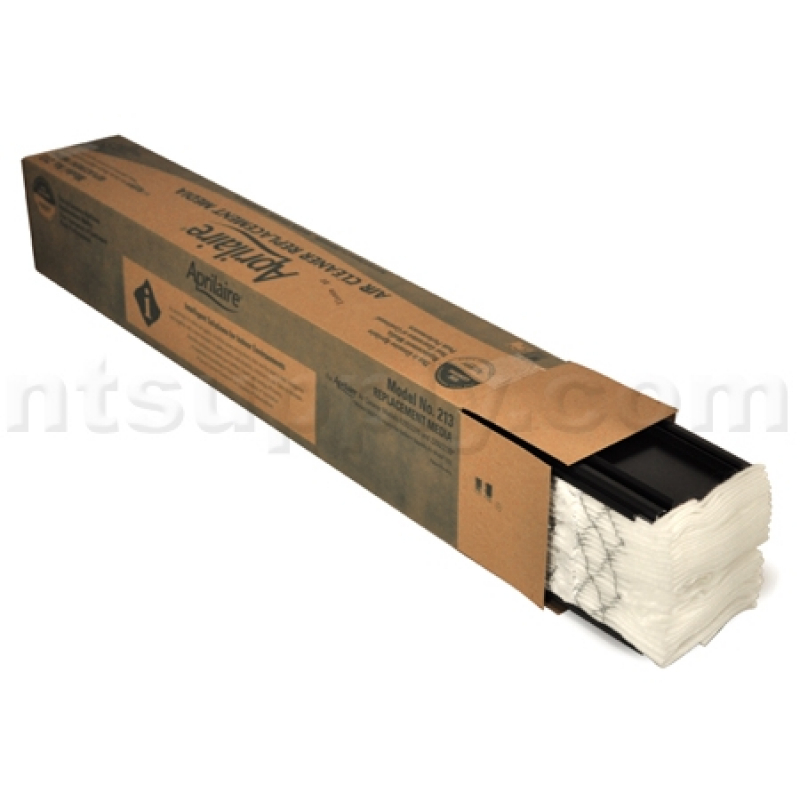 very good filter,fair price,but when ordering the 2-pack they were in one box instead of separate boxes, which caused them to bend and fold. they fit and work like a charm. Will order them again through DiscountFilters. very helpful site that guided me to the correct filter. Excellent filter that lasts longer than advertised. Fair prices and quick delivery. Can't ask for much more than that. 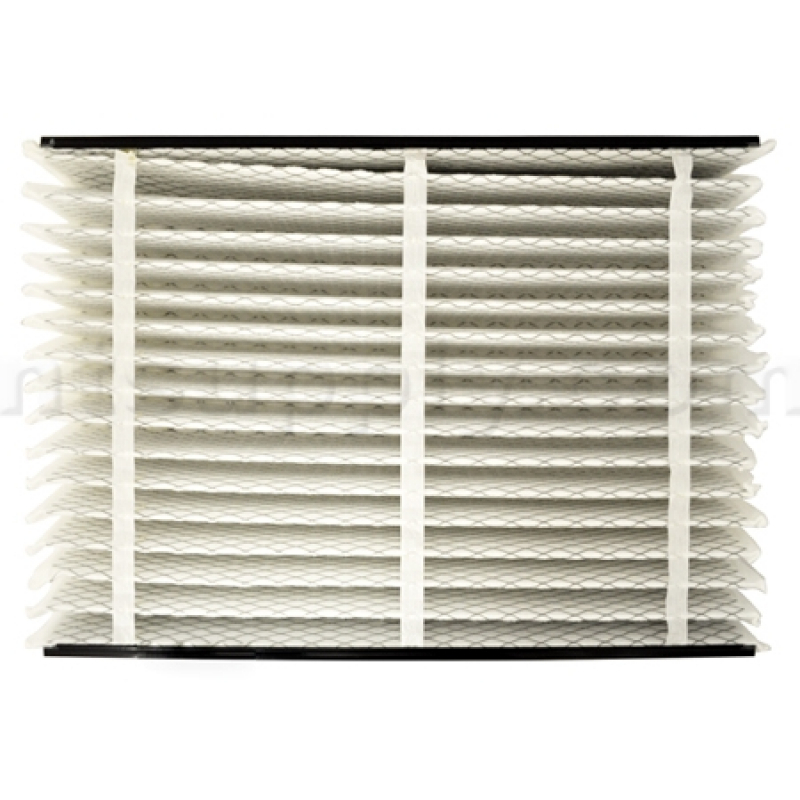 This is a high-quality product that is easy to install and reasonably priced for a whole-house HEPA filter. This is the second time I have ordered these filters. I like the price and the service was great. My order was received in a few days and installed my media filter in 4 or5 minutes . Very easy to install , fit perfectly . Your filters are top of the line and I will continue to purchase them from you In the future and I haven't found them any cheaper anywhere else Thank you. Great service and delivery! I would recommend buying your filters from this company. As usual, very happy with the product. Fits like a glove & arrived in a timely fashion. Nice, thick medium at a good price. Just stick it in the frame and go. Good price. Great service. Accurate shipment. No complaints. Great price, fast shipping ! Return customer. This is a new product I'm using for the first time but like it very much because its easier to install into my system. I'd recomend it for others t use. Product and price we're excellent. It arrived on time & no problems with the fit. 12 people in your area have bought this product in the last day!